GoBlock SCM gives you access to a visual smart contract library. 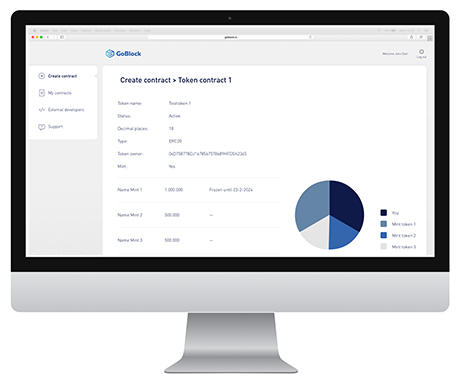 You can design your contract and customise it to your needs without having to write a line of code. 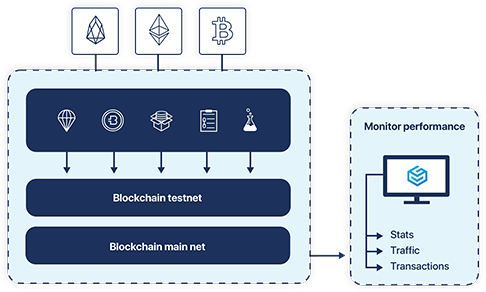 We deploy your contract in one of our blockchain nodes in Ethereum, Bitcoin or NEO. Once your contract is running, you can monitor key performance indicators to follow up on your stats. All through one intuitive application available on your laptop. 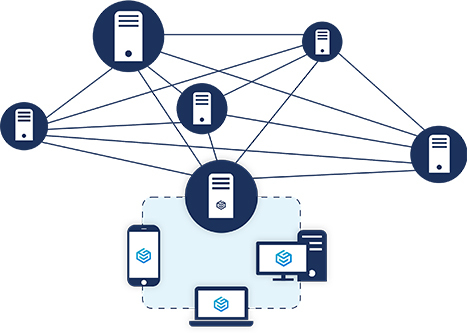 Browse a selection of predefined smart contracts in the GoBlock SCM web application. Can’t find what you need? Contact us and we will connect you to our blockchain development team. You will have the contract available on your profile in record time. 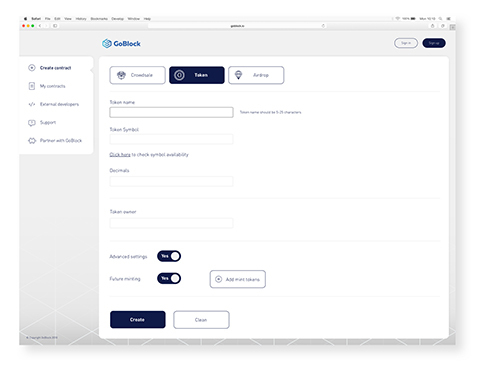 When you launch your contract, our GoBlock SCM Nodes will deploy your smart contract for you. Once the transaction is confirmed, you will receive a transaction receipt with the details. You can monitor your contract statistics in the Smart Contract Management Dashboard. Follow the entire lifecycle of your smart contracts through comprehensive visuals that tell you all you need to know. Contract stats, transactions, scheduled contract calling. All in one interface you will love.